Disclaimer: A few days after the release of this article, Nintendo gave us new information regarding the development of Majora’s Mask 3D. Some of the points made here have been rendered moot by those news. The main points of the article, however, are still valid. Take this into consideration while reading. For the past few years—ever since the conception of the idea of a Majora’s Mask remake—most of the Zelda fanbase has been debating nonstop over one crucial aspect: should the remake be on the 3DS or the Wii U? Even after the game was announced, after everything had been settled, thousands of people keep complaining about this; so many people are still mad that the game isn’t on the Wii U, and they fail to understand why this idea that they have is so impossible. As we all know very well, a 3DS version of this game would have much lesser graphics, as it doesn’t have to fit the high definition of the Wii U. That’s just common sense. Ocarina of Time 3D. So we know it’s not even Nintendo making the game; it’s in actuality a very small team, one that’s handled the development of very few games (they did some development for a game on StreetPass Mii Plaza and released a game named Line Attack Heroes on WiiWare, and worked on Four Swords Anniversary Edition as well). Majora’s Mask 3D. They did an amazing job with Ocarina of Time 3D, and I do personally have a lot of hopes for them, but they’re too small of a company to handle a Wii U remake; Nintendo would have to allocate a lot more money into the project, and the development time would be a lot longer. 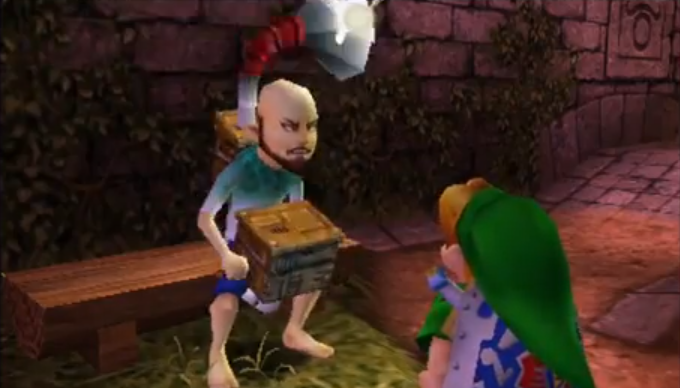 Majora’s Mask 3D would be particularly easy, because of the following reason. Remakes already have a very short development time, right? With little to no creative work to be done—simply updating graphics, quickly building a new engine (or even working off the old one), and changing the control scheme, with very little added content—the whole idea behind video game remakes is that they’re quick, and bring the classic game to a whole new generation. 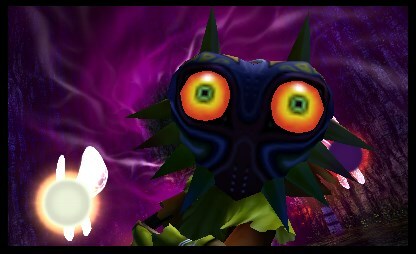 Majora’s Mask; the whole point of the game was that it would only take a year to make, by repeating the same characters from Ocarina and reusing the old game engine. The game focused on sidequests surrounding small areas, to make up for the lack of dungeons and expansive story, and the general mood of the game was the most intense and memorable part. Ocarina of Time 3D only took about a year to develop by Grezzo, Majora’s Mask shouldn’t take more than three or four months. Majora’s Mask is the sequel to Ocarina, so Nintendo can’t just release it on a console without Ocarina of Time on it already. Ocarina of Time, and won’t understand Majora’s Mask. Kids today might not have both consoles, and it just doesn’t make sense to brand Majora’s Mask on the Wii U as a sequel to a 3DS game, or to release it on the Wii U independently with no explanation for the backstory. Ocarina of Time 3D, which is obviously always a good thing. Ocarina of Time 3D—for a very small side-project of a remake. This is a small venture on their part, and gives massive profits to the Zelda team. A Wii U version would sell a lot less and cost a lot more to make, and take a lot longer as well, resulting in very slim profits on the part of Nintendo. 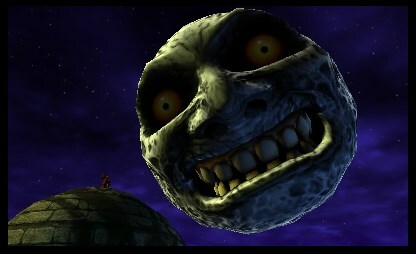 Majora’s Mask would be a lot easier and take a lot less development than a version for the Wii U. With a development time like the one they’ve been given (the game will release in about five months, and they’ve likely been working on it for a month or two already, just as a quick estimation), there’s a lot more time to work on polishing the game, and possibly adding some extra content. The 3DS version of the game would likely be better and more complete, and release a lot sooner, as a Wii U remake would probably take around twice as much time to make, especially considering how everything is basically already finished on the 3DS. This is probably the most important part of this article, as it’s time to show people exactly why the hopes they’ve had for the Wii U are completely wrong. Majora’s Mask on the Wii U, they always think of the same thing; that beautifully animated Majora’s Mask Wii U trailer that was released around E3 back in 2012, to raise the hype for a game that would never exist. it would look nothing like this. Zelda developers, and would cost much more than this project is supposed to. The trailer that we’re all familiar with was completely animated—there’s little chance that could run as an actual game—and had a completely different, pre-rendered art style. We still don’t know who made the trailer, but it must have taken months and months to complete; rendering an actual full game, and making it playable, would take years, even with an actual development team. Ocarina of Time 3D, but in very sub-par 720p graphics. Yeah, I understand how beautiful this trailer is. When I first saw it and thought it was real, I legitimately started crying and re-watched it about twelve thousand times. But this could never happen; it could never become a real game, without Nintendo losing millions of dollars and years’ worth of development time. Would it really even be worth it, just to make it prettier? Majora’s Mask Wii U wasn’t ever going to happen; not today, not two years ago, not ever. The advantages of making the game on the 3DS far outweigh any possible reasons to make it on the Wii U, and if they had decided to make Majora’s Mask HD rather than Majora’s Mask 3D, it would be one of Nintendo’s worst business decisions in years. And that’s definitely saying something. Majora remake is actually going to happen. I hate to put it so bluntly—people have a right to complain, after all—but it’s time we think about the situation pragmatically. Majora’s Mask 3D instead of HD? Do you still believe the Wii U version is a better idea, and want to try to make your case? Let us know in the comments below!